Gaming is all about sight and sound. It’s all about getting a great combination of realistic visuals and audio that you can feel in your bones. One somehow just doesn’t seem to go without the other. There are literally thousands of speakers available in the market. Some are pretty good, and others produce the sound that is so bad, silence would be preferable. 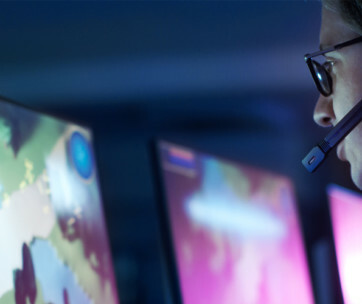 With the popularity of gaming growing with each new concept, the manufacturers of equipment for gaming has become a serious business. With each new device comes a whole new breed of accessories, and speakers have become the must-have accessory. The only dilemma is choosing the best gaming speakers to complete your setup. There are many fantastic gaming speakers to choose from and the features are what most gamers look for. Some speakers have been designed for PC’s only, others are adaptable to almost any device you can think of. Then the other thing to consider is whether you want to use your speakers exclusively for gaming, or are you looking for multipurpose speakers that allow you to watch your favorite movies in cinematic sound or listen to your carefully selected tunes. If you’re looking for the perfect set of gaming speakers to complete your gaming area, check out our list of the best gaming speakers. 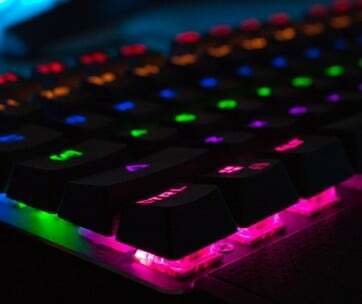 Some are exclusively sound only, while others boost your gaming with an awesome light show. The Logitech G560 LIGHTSYNC Gaming Speakers are the best choice for the ultimate in gaming speakers. There are many different color loops that will enhance your gaming experience. The sights and sounds are out of this world and will synchronize perfectly with the in-game actions sounds and music. The sounds will be all around you to give you an incredibly realistic action. The DTS:X Ultra Engine renders mind-blowing 5D surround sound for all of your games and musical playlists. The system also comes with a great amplifier and will work with your PC, and any devices you can connect via Bluetooth such as computers, smartphones and tablets so you can be the star of your own gaming show. These speakers will complete your gaming set up in function and style. Make sure you combine them with some of the best gaming monitors from our list. Gamers will love these Razer Nommo Chrome Speakers. They offer a sleek design and optimized drivers for full range sound with amazing clarity to give an awesome audio sound for gaming, movies and music. The rear-facing bass ports are specially designed to deliver bass output for an all-inclusive range of audio. You can also customize and fine tune the sound to include earth shattering bass or turn it to a lower buzz when gaming at night. The audio is pretty strong and reverberates with life so you can completely immerse yourself into your games making the distinction between the gaming experience and reality blend in a perfect array of sounds. You’ll be able to transport yourself to a different reality every time you connect these speakers to your gaming. The speakers are compatible with almost any type of hardware you connect them to so you will be able to enjoy the sound where you decide to set up. Be sure you combine them with some of the best gaming routers from our list. 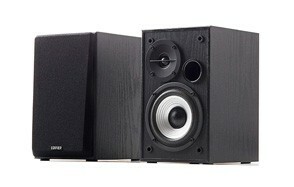 This pair of speakers from Edifier will look amazing in the classiest home or office setting. The wooden enclosure is made from medium density fiberboard which resonates the sound to perfection. The bass is adjustable so you can configure great sounds for all your gaming needs, movies and music. The Edifier R980T 4″ Active Bookshelf Speakers have all the cables you need to connect to your television, computer or gaming console. For die-hard music lovers, you can even connect these speakers to your vintage record player and listen to all those classic vinyl records you put in storage when CD’s came onto the scene, which makes them a perfect gift for vinyl lovers. The knobs for adjusting the bass are located at the back of these speakers so you can customize the sound for high tech games and movies or have a revival with your old records and because they are active speakers you don’t need an additional booster as the amp is built in. If you want really good gaming speakers that are interchangeable for a number of different devices, then you’ll find these ones the best value for your needs. RCA and 3.5mm cables and speaker wire included. Universal 110V-240V power supply. Convenient connection to any device that has a 3.5mm headphone output or dual RCA output. Gamers need a lot of space to set up all of their equipment so for the gamer who needs compact speakers with a whole lot of sound then Creative Labs Multimedia Speaker System is sure to please. Each tiny speaker generates a strong sound from the 28 watts of power and the BasXPort technology gives you lots of realistic sounds when you plug it into your games or movie devices. The first thing you will notice is that all the knobs are on the front of the speakers making it easy to use. The sound it delivers is crisp and clean making it perfect for many uses. You can plug these speakers into any device you use for gaming. Use your laptop or gaming console and get realistic sounds for the ultimate experience. You can also plug them into your Android TV box when watching movies or your stereo or other devices to play your favorite tunes the easy they are meant to be heard. All the adapters and cables come with these speakers, as well as instructions on how to connect them to your devices. For more great gaming equipment, check out our guide to the best wireless gaming mouses. No more cables with this sound bar thanks to Bluetooth technology. This also means repositioning the sound bar or connecting it to other devices is also a breeze. The design is also pretty cool and will compliment any home or office. 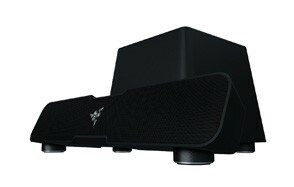 Razer Leviathan Sound Bar is small enough, yet powerful enough to give sound to all your gaming, movie and music needs. The sound is superior to many other speakers or soundbars thanks to Dolby technology and a dedicated subwoofer. This gives your sounds a deep immersive bass that will blow your mind, especially when you’re engaging in those high definition action games. The preset equalizers will also make it easier to switch devices with the push of a button. You’ll have high quality and realistic sounds when gaming, fantastic cinema-like movie watching and music that will sound better than ever. These Bluetooth speakers are among the best gaming speakers you will be happy to add to your set up. Serious gamers will love these Genius GX-Gaming SW-G2.1 3000 gaming speakers. These speakers are ideal for those who want to feel the sounds, as well as hear them in perfect unison with the latest games. The bass is sure to give you true to life sounds, giving your gaming that realistic edge. The quality construction and superior materials used in manufacturing these speakers give you a product that will look amazing with the rest of your gaming and PC equipment. The quality is not just in the looks, you’ll get the fantastic sound that will work well with your PC, gaming consoles, television and pretty much any other digital device you want to hook it up to. Hook the speakers up to your gaming headset jack and let the sound reverberate down to your very core. It also comes with a microphone jack so you can hook up and chat with other online gamers. This is the complete package for the serious gamer. Two input jacks for PC/TV/DVD/Game devices. Turn your computer into a complete entertainment system with these Bose Companion 2 Series III Multimedia Speakers for PC. The sound quality of these speakers is one of the best when it comes to PC gaming speakers making them popular among gamers. You’ll also love listening to your favorite playlists. The great sounds also continue to your movie experience. 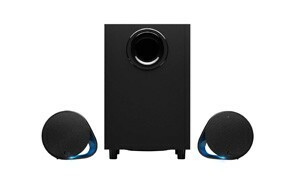 You’ll love the cinema quality audio you get with these speakers, bringing your movies to life. You get everything you need with these speakers and set up is really easy so you can get listening within minutes. The volume control and headphone jack are on the front of the right speaker for easy access and control. You can also use the AUX cable to get the same superior Bose sound quality from your smartphone, tablet or other devices. You’ll love the slender design that will fit neatly even if you have limited space. These Bose speakers are small, but powerful so you can immerse yourself in your gaming with sounds so real, you’ll feel like you’re really in the scene. Bose Companion 2 Series III speakers. Sound Blaster by name, sound blaster by quality. These speakers will blow you away with an exceptional sound and light show. You’ll enjoy surround sound and enhanced levels of audio realism. The Aurora Active Lighting system further enhances your gaming experience to a higher level. You can customize these speakers thanks to the BlasterX Acoustic Engine Pro software for PC and connection for your headset and microphone is relatively simple so you can get connected fast. The features continue with audio controls at your fingertips so you can easily adjust the sound without any interruptions to your gaming. You can also extend your entertainment options with the dual RCA-to-stereo adapter. This means you can connect your speakers to your LCD TV or DVD player and get the same exciting experience when you watch your favorite movies. Sound BlasterX Kratos comes with everything you need to connect fast and get gaming and the quality wooden construction of the casing further enhances and reverberates the sound. Find more great gaming products like this by checking out our guide to the best bookshelf speakers. Who better to design gamer orientated speakers than gamers themselves? These Trust GXT 38 120-Watt 2.1 Gaming Speakers have been co-developed by pro gamers who know how to get the best out of their equipment. That is why they are the best selling European gaming speakers. This set of gaming speakers produces the high-quality sound that will envelop you when you really want to get into your favorite games. Best of all, you can connect them to your PC, television, PlayStation 3, Wii, or Xbox One or 360. The wooden subwoofer delivers the sound you can feel for the ultimate in listening pleasure. There is also a convenient control pad that lets you change the volume without leaving your gaming chair. The smart power management is also a great energy saving feature and these smart speakers will automatically switch off to standby mode after an hour of inactivity. The design is classic black, with stunning accents that will look great with your other gaming equipment. Convenient wired volume control with headphones and iPod/mp3 connections. Extra volume and bass control at the side of the subwoofer. High quality sound with deep bass. Compatible with PC, Wii, PlayStation 3 and Xbox 360. Sometimes all you need is a simple, yet effective set of speakers that produce clear, crisp sound. Klipsch ProMedia 2.1 is a gaming speaker system that is excellent quality with great bass thanks to the subwoofer. The THX offers a whole new layer of sound for all of your gaming, video or movie needs so you can get the most enjoyment, whatever entertainment you choose. The system is compact enough to be set up discreetly on your table or gaming desk, yet the sound is powerful enough to please even the most discerning gamers. You’ll be able to enjoy games and movies on any digital device you own such as your smartphone, computer, tablet and LCD TV with a sound range that offers you a more realistic experience. The set comes with everything you need to set up your own personal entertainment hub and the simple, sleek design is sure to compliment any home or office. This unit is well made using quality materials so you can be sure that this has been built to last. An amazing gift for gamers. Now that you’ve had a look at our compilation of the best gaming speakers, you’re either ready to go shopping, or you’re more confused than ever. Try to decide which features are important to you. Do you want a subwoofer so you get great bass? Do you want gaming speakers that can be used with other devices? 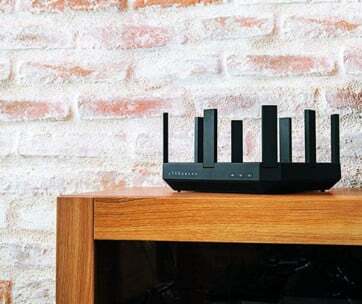 You may decide on Bluetooth connectivity if you are planning on using the speakers with multiple devices so that you don’t need to keep plugging and unplugging the cables and carrying them around the house every time you want to switch devices. Another factor in choosing the best gaming speakers is the size of your gaming area or room. There’s no point in getting high powered speakers for a small room, and definitely not a good idea if you live in an apartment building with thin walls. If you do most of your gaming on your PC, you’ll also need to make sure the speakers you buy are compatible with your PC. Once you’ve made a list of your desired features and check the specifications to make sure your new speakers will work with your devices, the last thing to consider is your budget. Fortunately, our list also takes differing budgets into consideration so you will be sure to find gaming speakers that will cater to your gaming requirements, without burning a hole in your wallet.